These mica flakes are much lighter than glass glitter, and will range in size, with most flakes being roughly 1/8 to 1/4" in size. 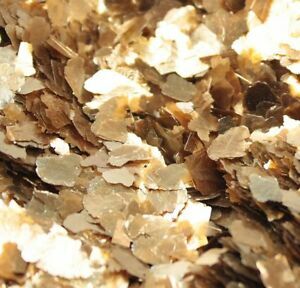 Mica Flitter Flakes in Gold - Large Flake. Safety Issues: Our mica flakes are non-toxic and safe for use in art, craft and decorative projects. So pretty. The best quality. I am a return customer. Always happy.